I've got two new books and they are both super fab. 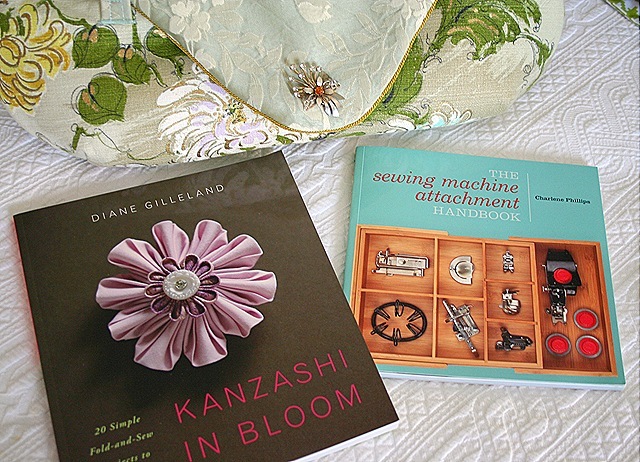 First up is Kanzashi In Bloom by Diane Gilleland of CraftyPod. I've been seeing this around the blogs and when Cathe over at Just Something I Made handed out a craft assignment using the ideas in this book, I jumped right in and ordered my copy. Just flipping through it quickly last night gave me tons of inspiration and I've got my idea ready to go for the assignment. For instance I love this idea using men's ties and I've got some really cool vintage ones that I just scored at an estate sale. hmmmm. NEXT UP is a great book that I picked up at the bookstore when I was up in DC visiting Beth. 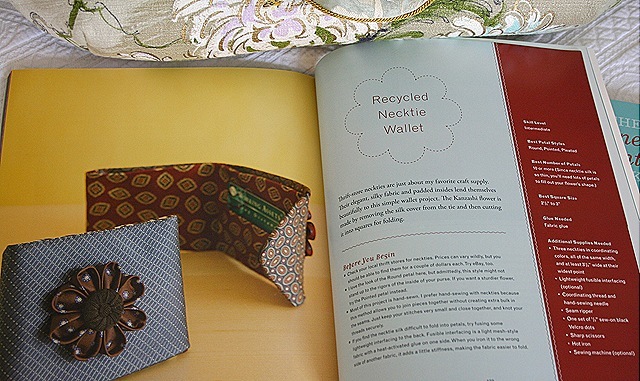 The Sewing Machine Attachment Handbook is the hard work of Charlene Phillips. Charlene has a great blog full of helpful sewing info, The Sew Box. This book goes into great detail with pictures of each step demonstrating how to use those obscure attachments and feet for your sewing machine. This book is a GOLDMINE of useful info and I know is going to enhance my sewing skills. I'm SO pumped up to sew and craft this weekend, rain is in the forecast. Perfect! I can’t wait to see what you make!!!!! I may be handing out grades, I haven’t decided, lol. I just keep coming back to stare at your mantel. It makes my heart beat a little faster.